Integrating components for any system results in simplification and smaller footprints. It’s better to have one smaller integrated unit than two larger ones with additional wiring. This is happily the case with the new combined Lynx Ion + Shunt 350A or 600A battery management system (BMS), which replaces the separate units of the Lynx Ion and the Lynx Shunt VE.Can. Not only that, but of course the new unit is easier to connect, takes up less space and even costs less. What’s not to like? Before getting into any further benefits, let’s first recap how the new Lynx Ion + Shunt fits into a complete Lithium Ion battery system. One or multiple Victron 24V 180Ah Lithium-Ion batteries. The Lynx Power In, a modular DC bus bar. 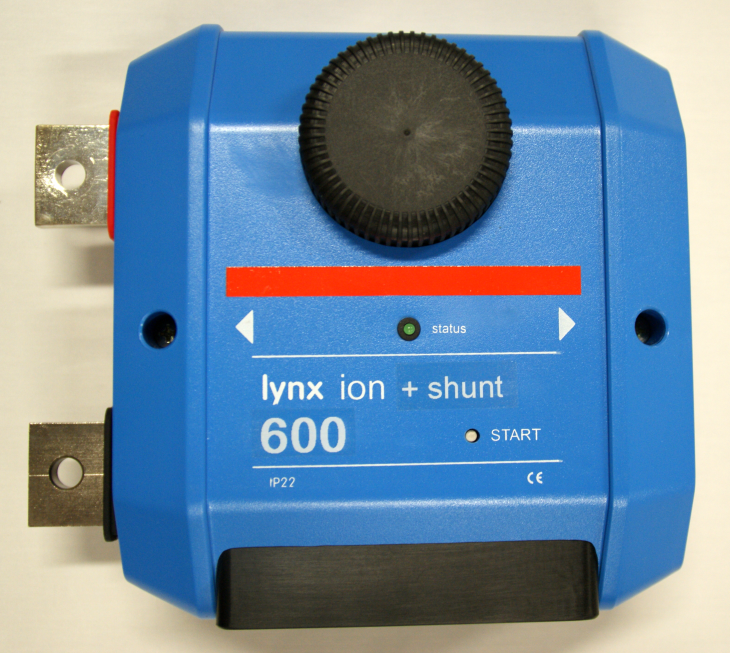 The Lynx Ion + Shunt is the battery management system (BMS) that controls the batteries. A 350 or 600 Ampere safety relay is inside the Lynx Ion + Shunt. The Lynx Distributor, a DC distribution system with locations for four DC fuses for several batteries. 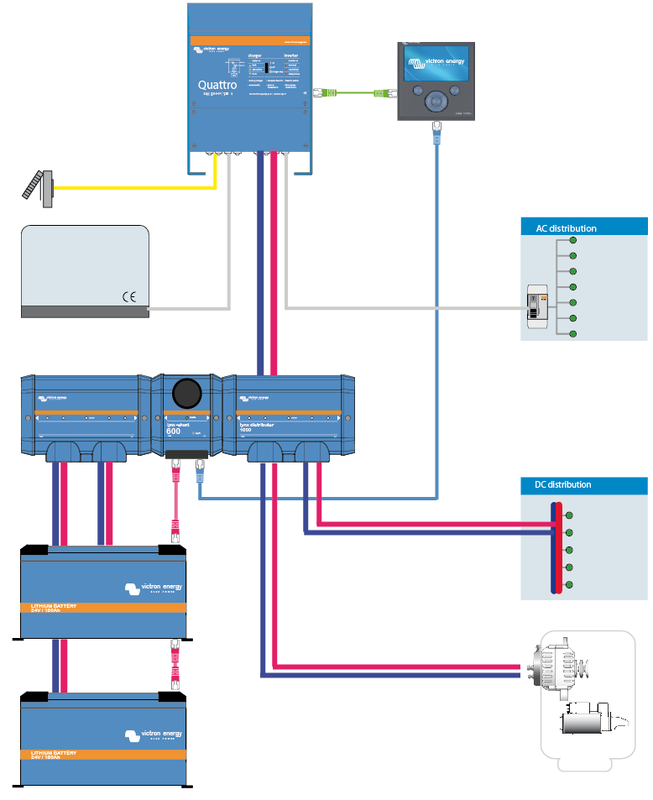 A waterproof Ion Control remote monitoring panel and/or optionally a Color Control GX for offsite monitoring via the VRM portal. When compared to the previous separate units solution, the new Lynx Ion + Shunt has the following additional benefits. Previously the maximum current was 350A, If you needed to exceed that, then a complicated external relay was required. With the advent of the Lynx Ion + Shunt 600, this is no longer necessary. Several new features are also part of the Lynx Ion + Shunt. These are. Wire an external push button, and use the Lynx Ion as the main battery switch (SOC will be remembered while the system is off). Automatic recovery from a low voltage shutdown (see Lynx Ion – firmware changelog for details). Diagnostics: see the last four reasons for shutdown in the Ion Control and the Color Control. Below is how a Lynx Ion + Shunt 600 fits into an integrated system. Note individually fused batteries. Any connected MPPT 150/70 and MPPT 150/85’s and also Skylla-i’s will be controlled via VE.Can, so it is no longer necessary to wire special allow-to-charge wires to these products, or use Cyrix-Li-Loads for them. Multis do still need an allow-to-charge and allow-to-discharge wire, and an Assistant needs to be installed in the Multi. The Lynx components of a Victron Lithium Ion total battery system solution makes for a very easy installation, and is in fact a lot less complex than other systems due to the experience and insights Victron have embraced over the last few years with LiFePO4/LFP technologies. With such experience and by developing battery systems with a modular and integrated approach, in this rapidly developing market, Victron design has resulted in many contented customers. Not hearing from customers that have installed our systems can only mean one thing. Happy customers! In introducing the two new Lynx Ion + Shunts, we trust that continues. Announcing the new CANvu GX …information you can touch! Phoenix Inverter Smart – 1600VA and 2000VA out now.